Stock status is current as of 4/22/2019 8:23 PMET. As a retailer, you know the checkout experience is crucial - it's the last chance to leave your shoppers with a good impression. The quality of the checkout experience is heavily dependent upon the performance of the scanner you choose. If cashiers need to scan barcodes multiple times or enter unreadable barcodes manually, your checkout lanes can back up quickly, translating into long lines and long wait times. Cashiers are then forced to focus on ringing up merchandise instead of providing shoppers with a great in-store experience. 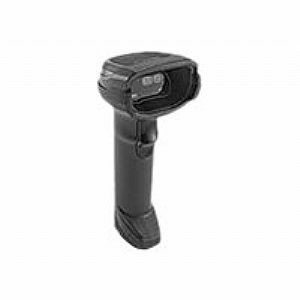 Now, give every shopper the ultimate last impression with the DS8100 series handheld imager. The DS8100 series rises above the conventional imagers to deliver perfect scanning performance on 1D and 2D barcodes, innovative productivity enhancing tools and great manageability to keep your checkout lines moving and your cashiers free to deliver a more personal checkout experience.